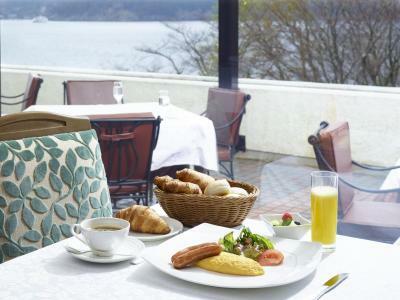 Lock in a great price for Odakyu Hotel de Yama – rated 8.9 by recent guests! The garden, the landscape, the heritage feeling of this historical hotel story.. fresh air and nice view and not far from local attractions! Amazing and clear views of Mt Fuji from my room and the observatory. Beautiful landscape and gardens all around the hotel property. The front desk and restaurant staff are very kind and helpful. So accommodating to pick me up for my late check in. Also, they went above and beyond to ensure that I had a lovely vegan breakfast. The onsen was a highlight. Thank you for a wonderfully quiet and relaxing stay. 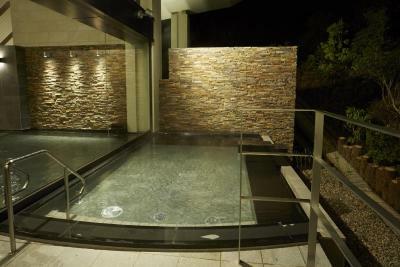 The onsen experience was wonderful! We also loved the gardens and the close proximity to walk into town and to the shrine. 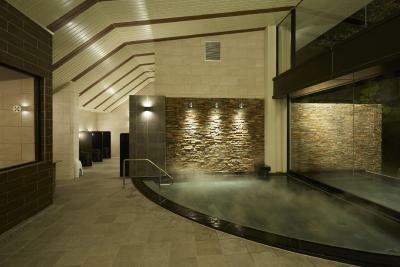 The staff were so courteous and helpful! 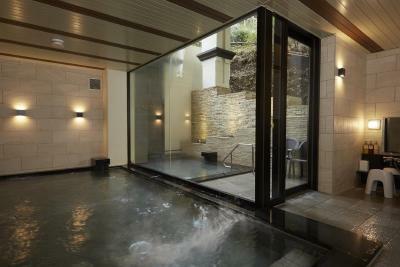 The room was very comfortable and the Onsen was beautiful. 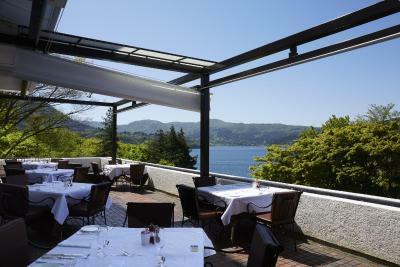 I loved the garden out by the lake, it was very restful and I hope to return here for another stay! The location is excellent, a few minutes outside the local village (which is very busy with an almost permanent traffic jam)!! The staff were excellent. 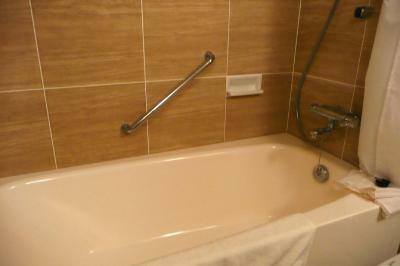 The bedroom and bathroom were modern. 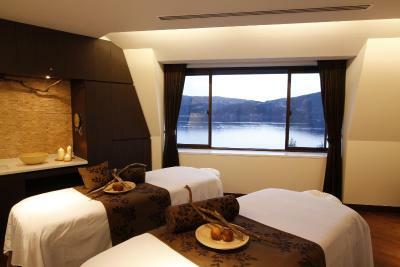 The rooms and beds were very comfortable and the view of the lake, especially at sunset, was breathtaking. 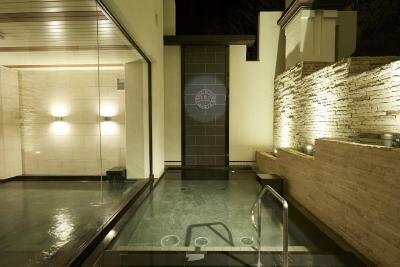 We also really enjoyed the onsen, especially the outdoor once which was so serene and relaxing. 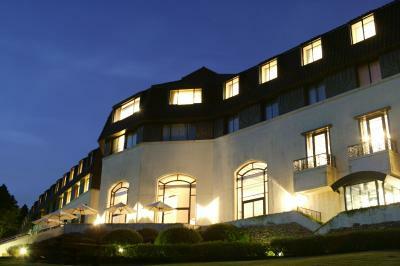 Hotel located a short 10min walk from village with shuttle available from train station on arrival. Staff helpful on check-in with good English. 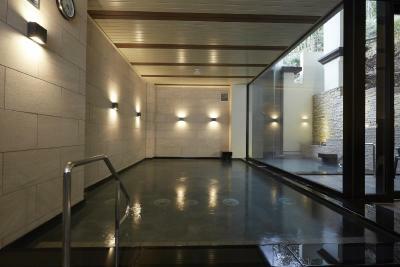 Spa was amazing (extra costs), grounds were lovely. 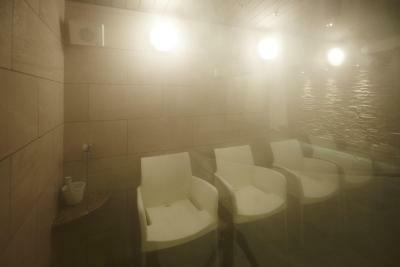 Onsen was really nice-both out and indoor. Room was spacious. Hotel was clean, fireplace/piano lobby bar was pretty. Servant in the lobby bar was very professional and nice. We opted for half board, French dinner was fantastic, Japanese breakfast was awesome! Tip: Its better to rent a car and drive up here, plenty of parking spots. 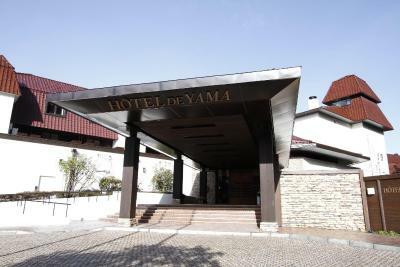 Odakyu Hotel de Yama This rating is a reflection of how the property compares to the industry standard when it comes to price, facilities and services available. It's based on a self-evaluation by the property. Use this rating to help choose your stay! 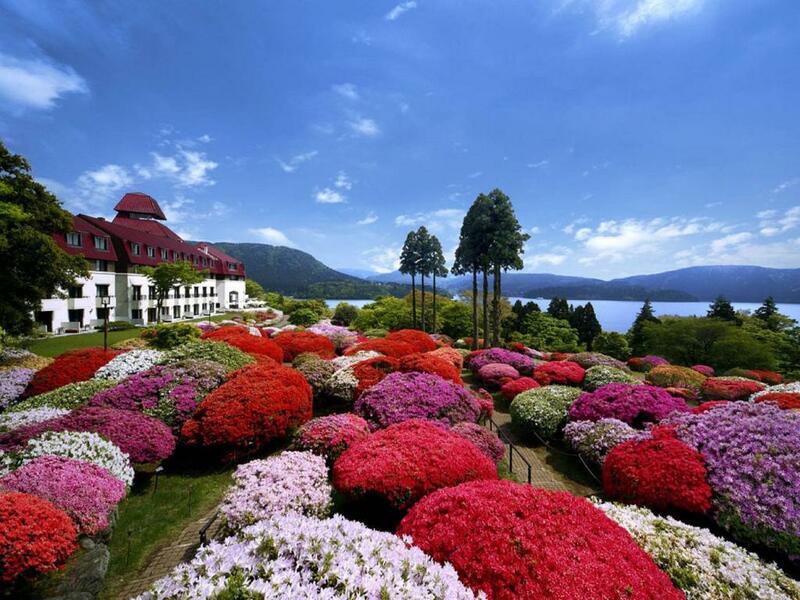 Located right next to the picturesque Lake Ashi in the Hakone region, Odakyu Hotel de Yama features large Japanese gardens with various flowers, and natural hot spring baths that are surrounded by lush trees. 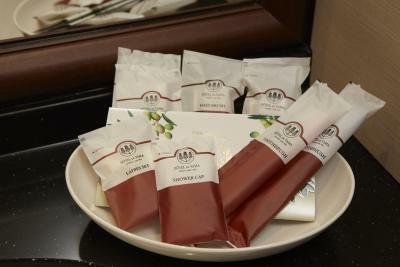 Free parking and in-room Wi-Fi are available. 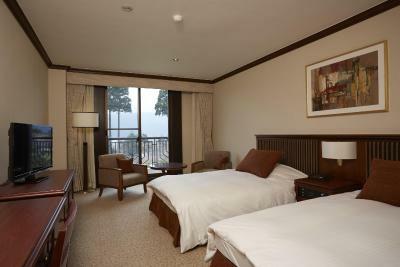 Rooms are decorated with natural colors, and large windows offer the views of the gardens and Lake Ashi. A flat-screen TV, a fridge and an electric kettle with green tea are provided. 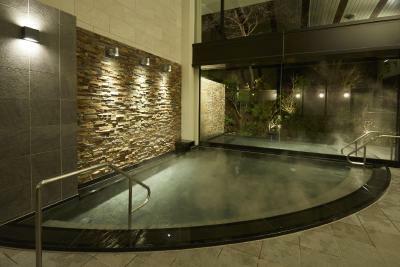 Guests at Hotel de Yama Odakyu can rewind in the hot spring baths or enjoy singing at a karaoke room. 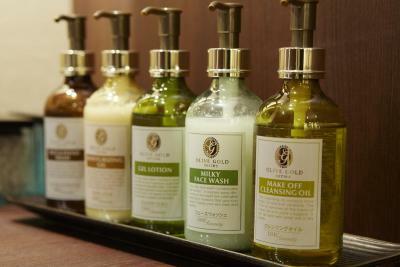 The on-site spa offers rejuvenating massage treatments, while original goods can be purchased at the gift shop. 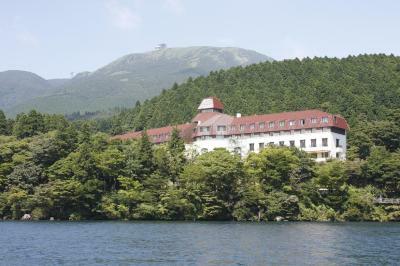 The hotel is a 25-minute drive from Hakone-Yumoto Station, and a 5-minute drive from Moto-hakone Port, where sightseeing cruise ferries can be boarded. Shuttle busses to the port are available if requested at time of booking. 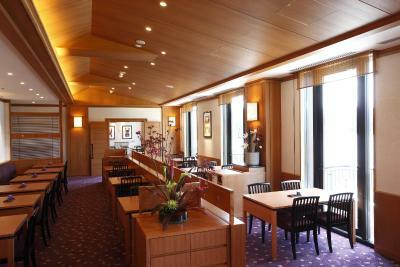 Vert Bois serves delicately prepared French cuisine, while Tsutsuji no Chaya offers seasonal Japanese dishes. Coffee and cocktails can be ordered at the lounge bar, which features a fireplace and comfortable chairs. 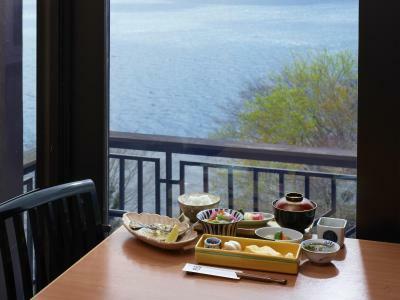 Guests with a dinner-inclusive rate can choose from Western or Japanese dinner. 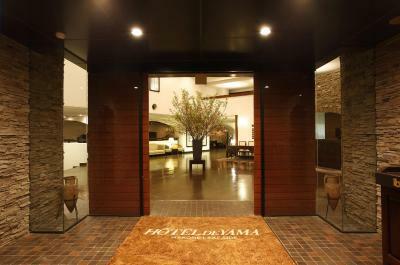 When would you like to stay at Odakyu Hotel de Yama? 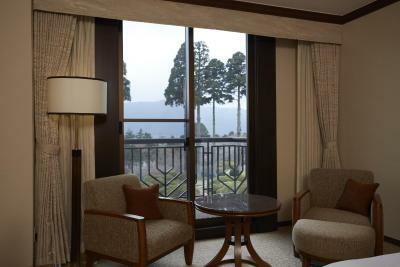 This room is decorated with natural colors, and large windows offer the views of the gardens and Lake Ashi. A flat-screen TV, a fridge and an electric kettle with green tea are provided. This triple room has a electric kettle, air conditioning and seating area. 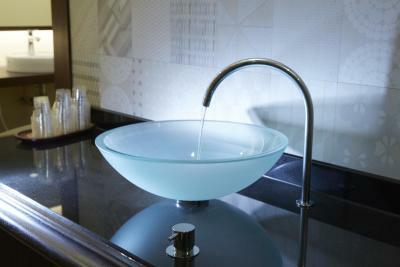 House Rules Odakyu Hotel de Yama takes special requests – add in the next step! 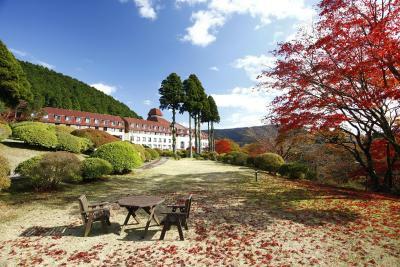 Odakyu Hotel de Yama accepts these cards and reserves the right to temporarily hold an amount prior to arrival. 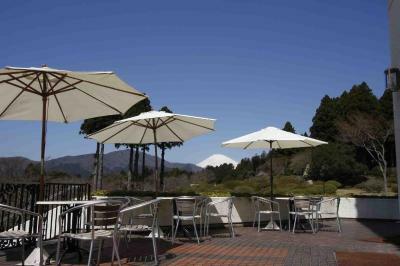 To use the property's free shuttle, please make a reservation at time of booking. Please contact the hotel in advance if you have any food allergies. 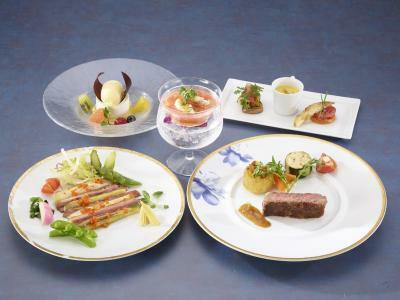 Guests with a dinner-inclusive rate can choose from Western or Japanese dinner at time of booking. The only thing we didn't like was the 10 % loading on everything in lieu of tipping. Everywhere else we went in Japan tipping was not encouraged. 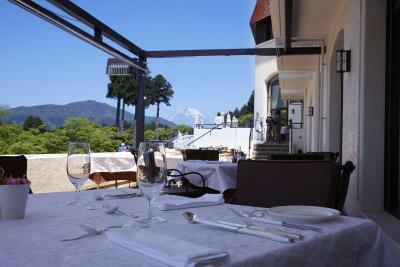 The location was perfect, close to the harbour and with stunning views of Mt Fuji. 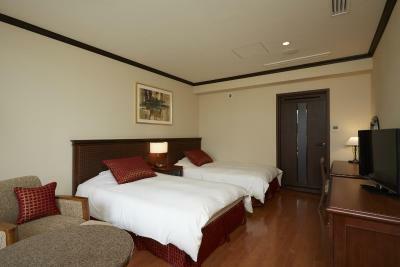 The room was quite big with a balcony, the bed comfortable and the amenities lovely. The 5th floor observation deck was an unexpected bonus with beautiful background music. The French restaurant was excellent in both food and service. I like the location and the staff. During booking It said that the room has a mountain view and it did not. I even showed them the booking but still they said they had none left. How can you book if you had none left? And it took them 45 minutes to make breakfast. Everything! Beautiful surroundings. Extremely pleasant and professional staff. 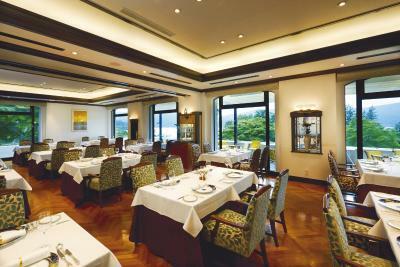 Exquisite dining experience! We didn’t eat at the restaurants because they were pricey but aside from that everything met our expectations! Limited menu at the in house restaurants. If you decide to eat out, remember the last shuttle leaves at 5:10pm! Lovely location by the lake. The regular shuttle from moto hakone ko was very convenient. 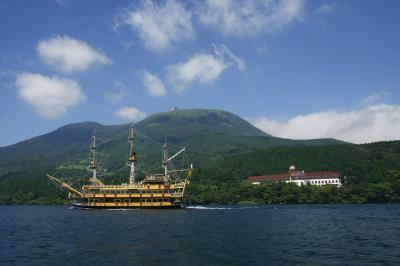 Lake Ashi cruise was right at the doorstep. The gardens were lovely to walk in with a bonus Mt Fuji view. 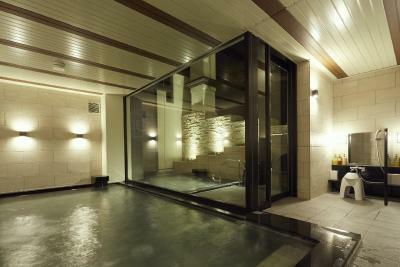 The family room was of a good size and amenities were sufficient. The gardens at the front of the hotel were not bright and colourful as pictured on the website, as they were not in season when we visited in late March. It was still very beautiful but not quite as striking as advertised. 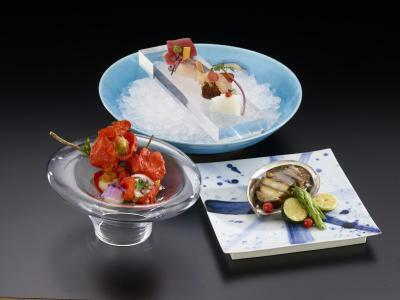 The Japanese restaurant offers a fantastic degustation experience that my partner and I thoroughly enjoyed. 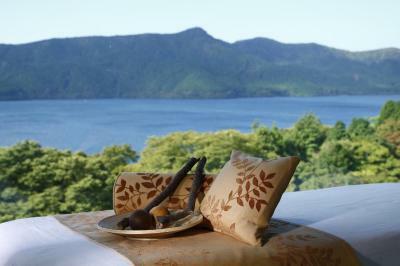 The onsen was exquisite and our hotel room had fantastic views of the beautiful gardens and Lake Ashi. 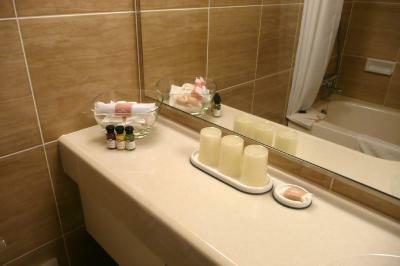 Location was a bit remote from other tourist attractions, Room is not spacious & decoration is obsolete. 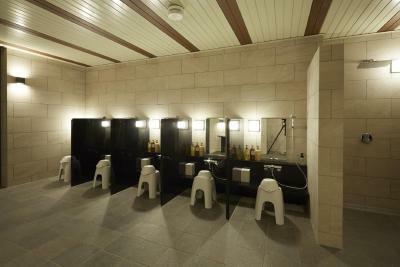 Public bath was pretty small n not impressive. 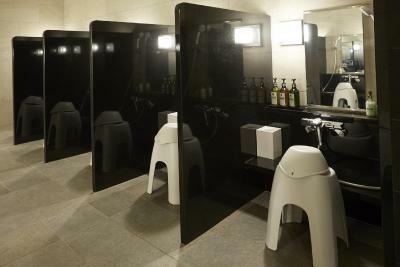 1) Facilities are scarce after hours. 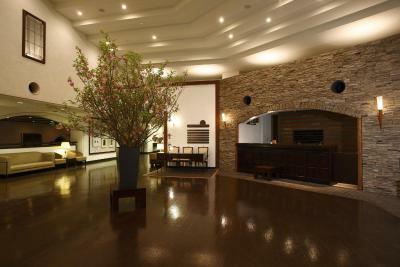 2) Time to renovate (but please retain the rustic feel of the hotel). 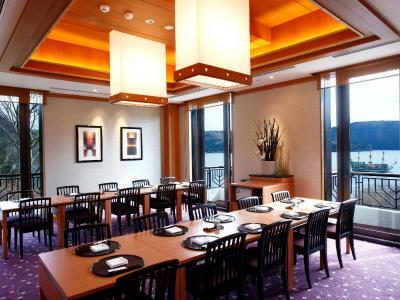 1) The Japanese restaurant is much elaborate and better than the western one. 2) Excellent shuttle bus service and the drivers are superb. 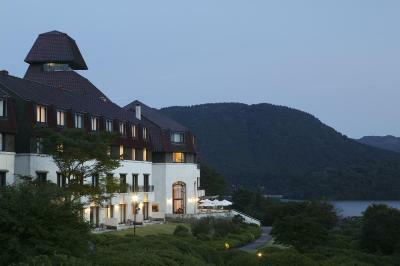 3) Good connection from Motohakone to Gotenba Station at the hotel.